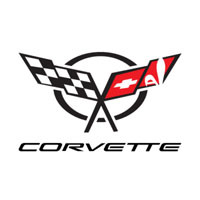 Select from our wide range of customisable options and order the perfect tailored car mats for your Corvette. Manufactured and hand finished in the UK, our car mats are supplied with all the fixings included and provide outstanding protection from the dirt, water, mud and oil that can damage your car’s interior, helping to retain the resale value. With options available to choose the colour, style and material of the edge trim, quality of the carpet and thickness of rubber, and with the ability to add your own logo or text, our tailored Corvette car mats offer the perfect combination of style and protection.